Nicola Mining Inc. Drills 73.6 Metres of 1.05% Copper (150 Metres of 0.54%) in Previously Unexplored Zone Located Within the Mineralized Historic Pit Halo | Nicola Mining Inc.
September 25, 2018, Vancouver, BC: Nicola Mining Inc. (TSX.V: NIM), (the “Company” or “Nicola”) is pleased to announce and confirm the presence of a previously unexplored mineralized zone north of the historic Craigmont open pit. The near-surface zone is located within the boundaries of Nicola’s active Mine Permit M-68. 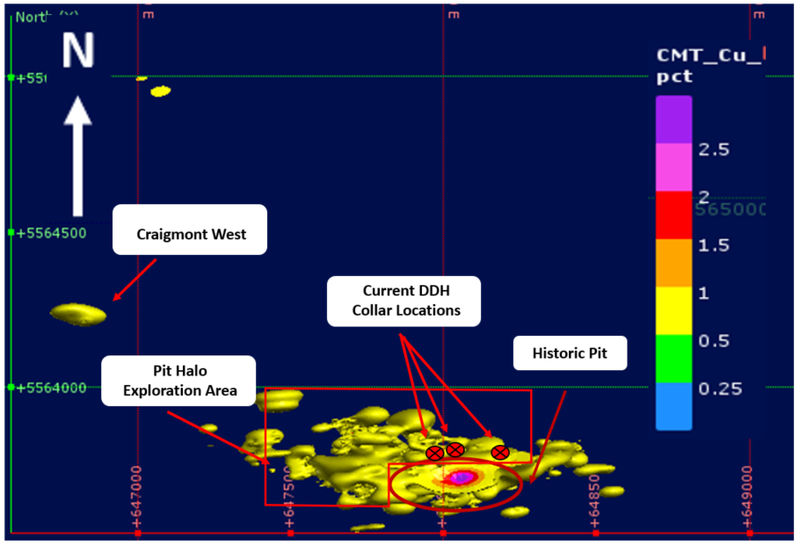 Nicola targeted the area after historic data and recent mapping from the Company’s 2017 and 2018 Exploration Programs revealed the potential of mineralization north of the pit. The New Craigmont Project (the “Property”) is a wholly-owned copper property with an active mine permit (M-68), located within the world-class Highland Valley porphyry district. It benefits from excellent infrastructure. The Property is at the corner intersection of the Nicola and Guichon batholiths, of which the latter is the precursor to mineralization at Highland Valley. In November of 2015, Nicola became the first group in decades to consolidate ownership of the Property and has been actively conducting mineral exploration since.